Hurricane season is in full force, with Hurricane Harvey devastating Texas communities and Hurricane Irma making its way toward Puerto Rico and Florida. 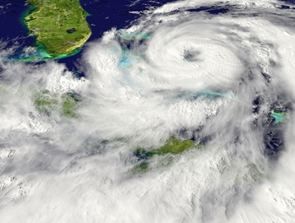 Natural disasters like hurricanes leave lasting marks long after the floodwaters recede and can cause long-term health issues. Health care is significantly impacted by disasters like Hurricane Harvey and will require its own form of recovery efforts. While the number of deaths involved in a disaster is often the most reported fact, injuries and illnesses far exceed the death toll. Injuries increased six-fold when Hurricane Iniki hit Hawaii in 1992, and the majority of the cases included open wounds, The New York Times reported. Flood waters introduce a number of major hazards including sewage contamination, rusted nails, downed power lines, and animals like snakes, spiders and alligators. The breakdown in water sanitation, higher population density in shelters and contamination from waste sites can introduce diseases into affected communities. Waterborne and communicable respiratory or gastrointestinal disease often increase after floods, creating health complications. The problem is, health care institutions may not be accessible or operational during disasters, and will take time to recover. But at a time when patients are seeking out help, time is of the essence. "Leaving medications and treatments behind can risk patient well-being." People often think first and foremost to get people out of harm's way. However, for those with chronic conditions, leaving their medications and treatments behind can risk their well-being. Patients with kidney disease, for example, rely on dialysis several times a week, and missing a session can have severe consequences. However, when individuals seek out help during disasters, lack of personnel, appropriate medications and access to patient files make things very difficult. While pre-existing conditions and new wounds take the focus of health care treatment during emergencies, the risks go far deeper in these situations. Surviving a disaster, losing your home and picking up the pieces will impact anyone's mental state. Victims of these events can develop depression, anxiety and other mental health disorders. "A lot of people are really overwhelmed, stories of having to jump in a boat or get a helicopter out, wade through waist-high water, losing everything," clinical social worker Brittany Burch, who is volunteering to help people in shelters, told NPR. "So just a lot of people in shock, trying to adjust to what's happened and what happens from here. Some people haven't been on their medications for a few days. So there's a lot of stress just being here, and then the extra mental health needs that arise in the midst of this [are] also very challenging." Health care is an integral part of helping victims and volunteers through disaster situations like Hurricane Harvey. Doctors and support groups must be ready to care for these individuals and provide the appropriate treatment. Scars, both physical and emotional, have undoubtedly been left by this event, and with Irma gaining strength, it's important for health care workers to prepare for all possible outcomes.